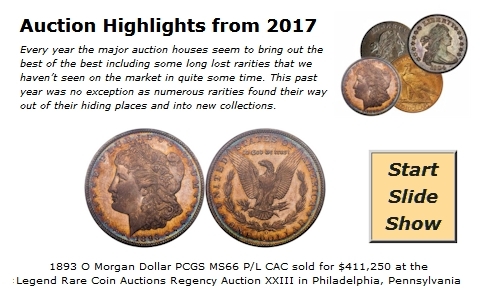 �����The just completed Summer FUN Sale was hosted by Heritage Auctions and contained some noteworthy coins and collections. 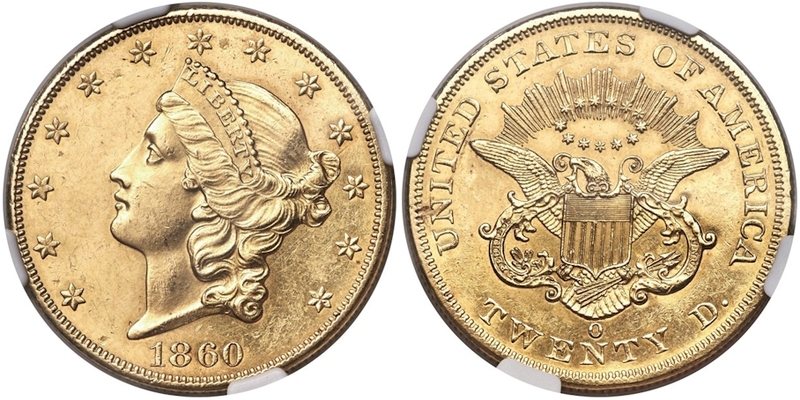 One of the highlights was the 1860 O $20 Gold Liberty in NGC MS61 which sold for $168,000; the current Market for this grade is $132,500. This is the finest known example to date and there are no other Mint State certified coins with only a total of 16 certified in AU58. �����The East End Collection included many high grade Morgan Dollars throughout the nearly complete set. There were some rather noteworthy Proof Morgan Dollars sold from this collection including an 1895 Morgan in NGC PR65 Cameo which brought $78,000. This low mintage rarity was collected early thus the number of coins in high grade is excessive compared to other dates. There are 29 certified in this grade with 4 of those making the CAC grade, and there are 46 coins certified higher than PR65. This is such a popular date that most major auctions will contain at least one up for bid. 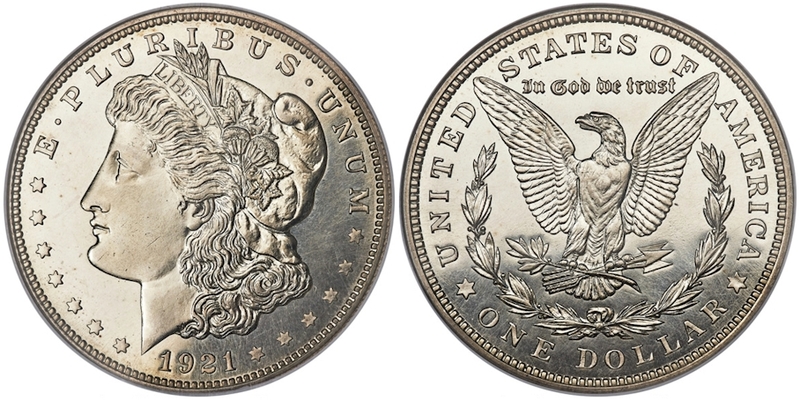 �����The rarely encountered 1921 Chapman Morgan Dollar in NGC PR65 brought a premium bid of $72,000. There were no Proofs officially made for collectors, however, PCGS and NGC have combined to certify 64 in all grades of PR60 through PR67. 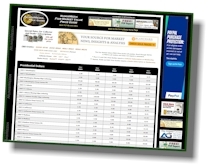 There are 4 coins certified in PR65 with another 6 coins grading higher. The current Market for the PR65 is $68,500. 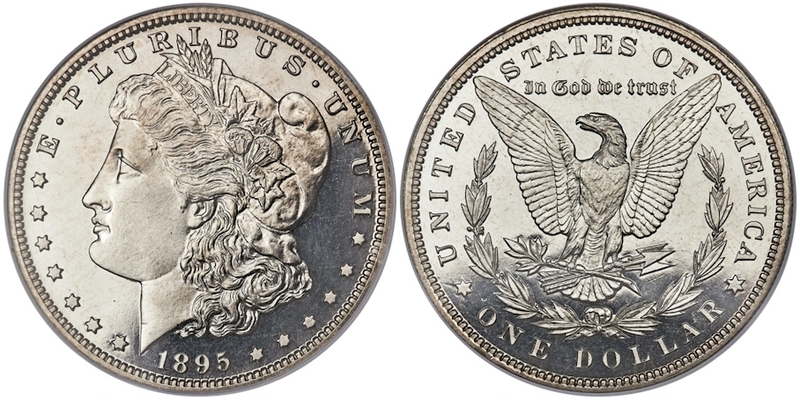 �����Also in this sale was an 1884 S Morgan Dollar in PCGS MS63 that brought $42,000. 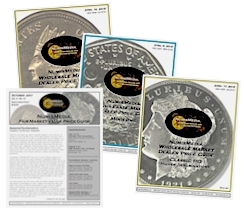 While there may be over 100 coins certified for this rare date, the number of coins in higher grades is only 29 with a single PCGS MS68 the highest graded. Some other highlights from the Heritage Auctions Summer FUN Sale are listed below. �����The metals are drifting lower in morning trading with Gold currently at $1,239.30 and Silver at $15.74. Circulated Dollars in VG and better are wholesaling at $22,025 per bag of 1,000. Silver bags are trading at $10,945.